Bottle 250 ml 8.4 FL. OZ. Tonic lotion with no alcohol, without preservatives, based on natural active principles treating hypersensitive and easily irritable skin. Gently refreshing and relaxing sensitive and delicate skin, it nourishes and protects hypersensitive skin making it fresh and bright. Its active plant ingredients are specific for the treatment of hypersensitive skin and easily irritated skin. Apply with a cotton wool or spray in the morning and evening, after cleansing. 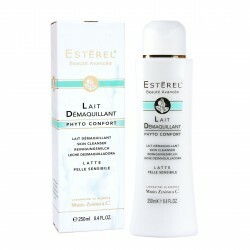 Cleansing milk without preservatives, ideal for cleansing sensitive, delicate and easily irritable skin. Recommended for hyper sensitive and easily irritated skin. Day moisturizing cream, without preservatives, created to hydrate and nourish hypersensitive, delicate and easily irritable skin. 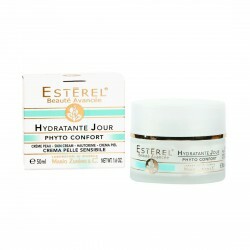 It protects, hydrates and oxygenates the skin ensuring a soft and bright complexion. Jar 50 ml NET WT 1.6 OZ.